Muhanad Younis, the Minister for Martyrs’ Families, Wounded and Missing Affairs, acting as spokesperson for the Faiez Serraj Presidency Council and Government of National Accord, said that the Ghadames Conference planned for 14-15 April was undermined by the fact that a number of countries and ‘‘statelets’’ whose interests differed and their objectives were unified by the instability of the Libyan state. He said they used Khalifa Hafter to achieve this aim, who plunged his countrymen into a war in which only the Libyan state is the loser, using the Libyan minors who the country was dependent on for its advancement and progress to its desired future goal. There was no explanation for the appearance of Younis as acting spokesperson instead of usual Mohamed El-Sallak. El-Sallak hails from eastern Libya. Speaking at a press conference held Saturday at the Media Centre of the Prime Minister’s Office in the capital, Younis said the war on Tripoli resulted in the exodus of thousands of citizens from their homes, the killing of civilians and the attempt to disrupt the vital facilities of the state. He said that Friday’s large demonstrations by citizens in Tripoli and Misrata indicated the public’s rejection of the attack on the capital, the militarization of the state and their attachment to the civil state which is a testament to the Libyan people’s attachment to the democratic process. He said that Serraj is continuing to be in contact with most of the leaders of the world, and that all statements and declarations made by officials strongly condemn the treacherous attack on Tripoli. They confirm that this attack is unacceptable, and is considered to undermine the political solution, and that there can be no solution other than a peaceful solution in Libya. Younis said that the Serraj government has called on all to be fair in the political positions they take, and that they cannot equate the aggressor (Hafter) with those who defend citizens and seek to reach a civilian state. He stressed that the Serraj government welcomes a ceasefire, but that does not mean that it accepts the situation as it is, but that the invading forces must return to where they came from. He emphasized that talking about any political solutions on the same previous bases is now obsolete. Younis said Serraj had met Saturday with the UNSMIL head Salame and his deputy, to brief them on the situation around the capital. 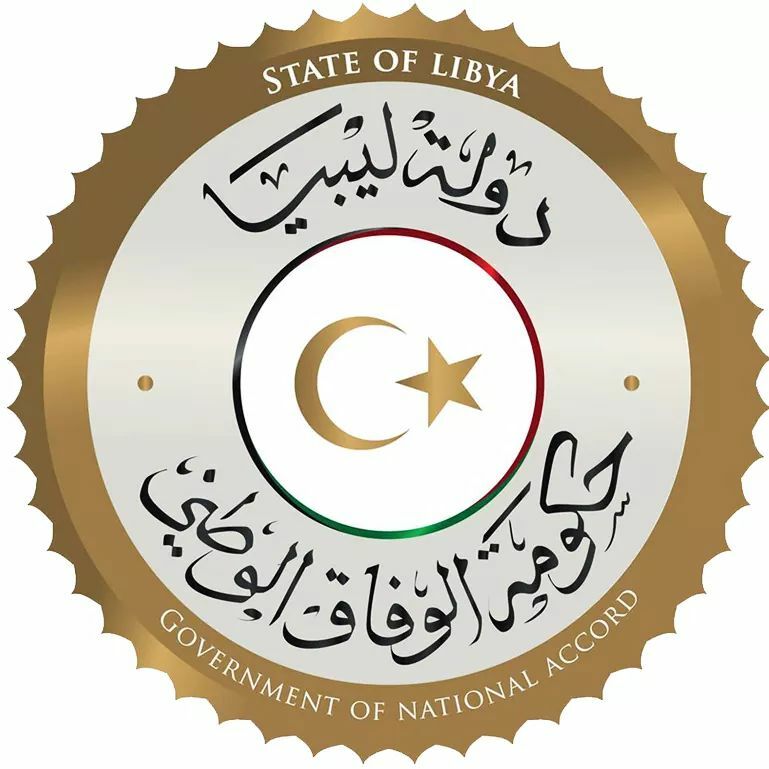 Serraj had reported to them that the Khalifa Haftar forces were still using their Air Force, and indiscriminately shelling civilian areas including the shelling of a school in the Ain Zara area. Younis said that Salame had stressed his total rejection of what was going on, especially attacks on civilians. Salame had also assured of the continued international efforts to end the war. On the battlefront, Younis said that the (Serraj-aligned) Libyan Army is constantly advancing, on all axes, and was able to defeat the (Hafter) aggressor force. He confirmed that the Serraj-aligned military command, had announced on Friday to move from a phase of defence to an offensive phase. He said that in the past days the (Serraj-aligned) Libyan Army has been able to repel the attack and to inflict on the aggressor militias ”huge” casualty, capturing ”hundreds” of its troops. He said Serraj aligned forces are still ”winning victories and gaining new positions on the ground”. Younis regretted the numerous war crimes committed by the aggressor forces, namely, the shelling of civilians, the direct targeting of ambulances, medical crews and members of the ambulance service, as well as the shelling of schools and civilian airports, stressing that an illegal migration shelter had been shelled. He noted that all these crimes have been documented in addition to the crime of recruiting children in war, and that all legal actions will be taken domestically and internationally on these facts. Younis confirmed that the Hafter forces are still trying to bomb other civilian sites and that the Serraj-aligned forces were still resisting them. Despite Mitiga airport being subject to an air raid by Hafter forces last Monday while three passenger-planes were preparing to take off, Younis said the airport was operating with reduced night flights to avoid any possible air raids. He said the raid on Mitiga represented a dangerous war crime precedent. Younis said thousands were displaced from their homes as a result of indiscriminate shelling and targeting of civilians.